This is another restore similar to the Scottish Infill Plane. 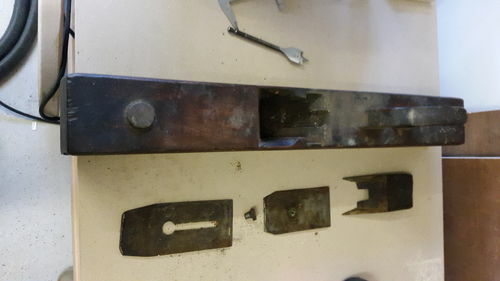 The tote and iron wedge were unfortunately beyond restoration, though the beauty with replacing such parts is that you have a perfect template to form replacements without losing the authenticity of the tools appearance. As you can see the plane wasn’t exactly in great condition to start with. After I removed 80yrs+ of grime, taking care not to remove the original markings and stamps, I applied several coats of BLO and job done. These planes really do make short work of edging and flattening stock!